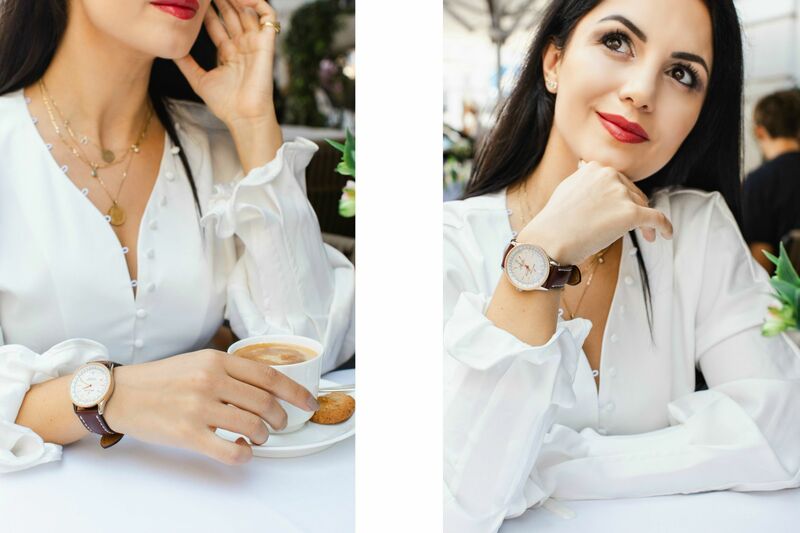 Despite in today’s modern world, smartphone has become our daily time-teller, and the omnipresence of synchronized, digital devices suggests that the wristwatch is no longer a necessity. 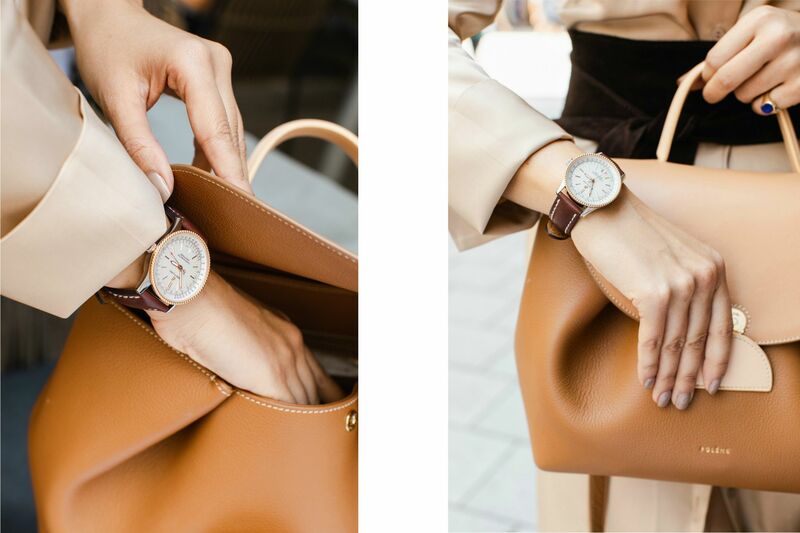 Personally, I still find a well-designed watch never looks outdated. In fact, some of the best can last an entire lifetime and even be passed from one generation to the next. 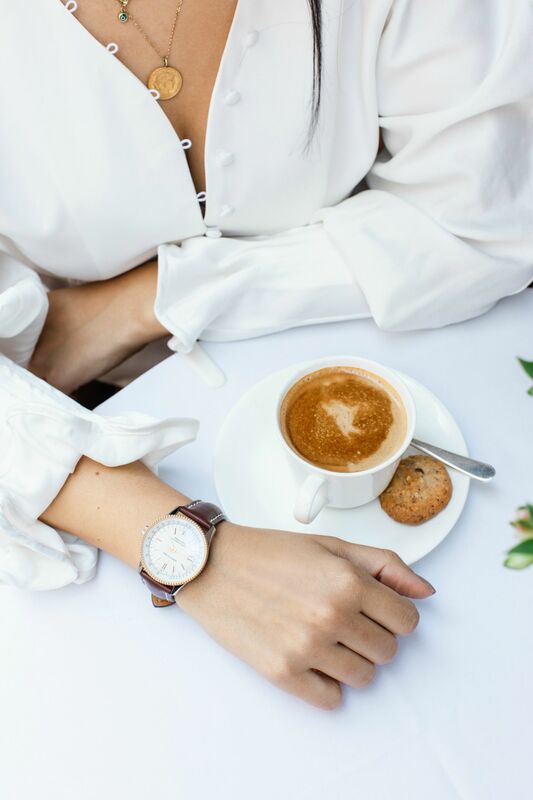 My first relationship with watches was fuelled by a classic silver timepiece combined with stainless steel with white dial, gifted by my parents for my sixteenth birthday. That timepiece became a part of me, and I loved wearing it everyday. 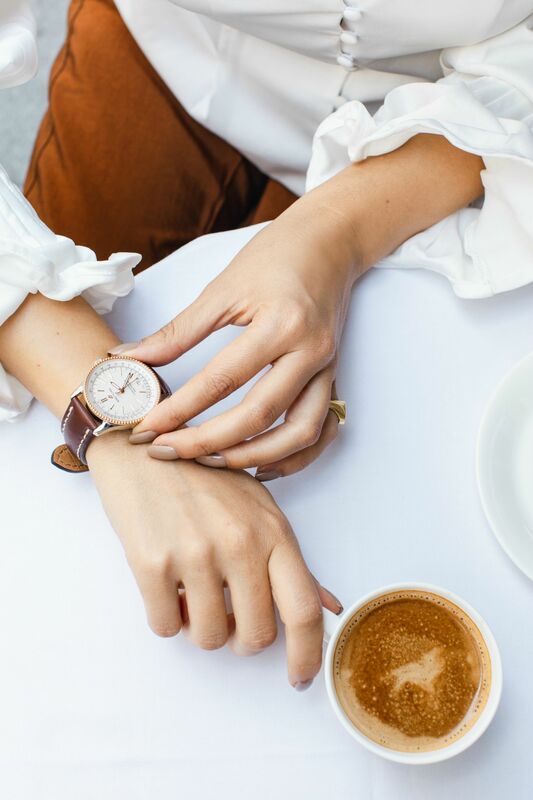 So my love affair with timepieces can be considered very sacred, and by getting older, you realize that time is very precious. 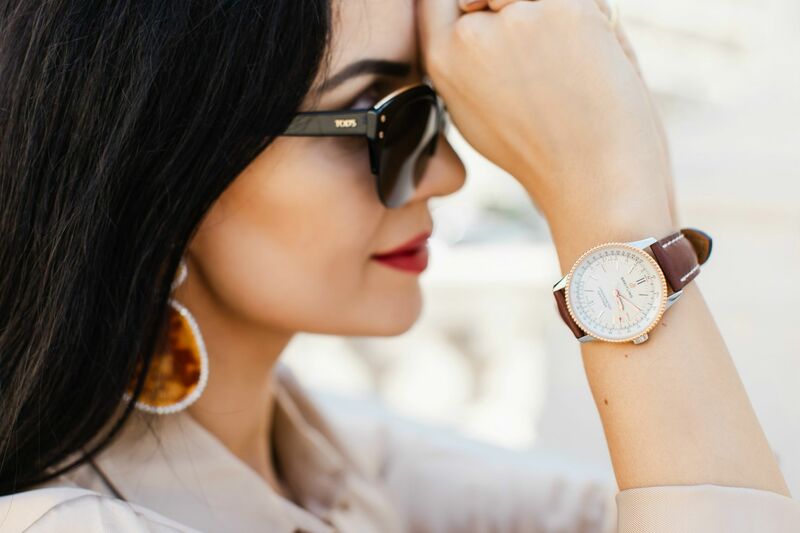 Almost all luxury watches can be described as wearable art, because most of them have a interesting history attached. I am thrilled to announce my collaboration with my favorite Swiss luxury watchmaker brand, Breitling and to present the new Breitling Navitimer 1 Automatic 38. This watch is not a chronograph, it’s not big and it’s not just for men. 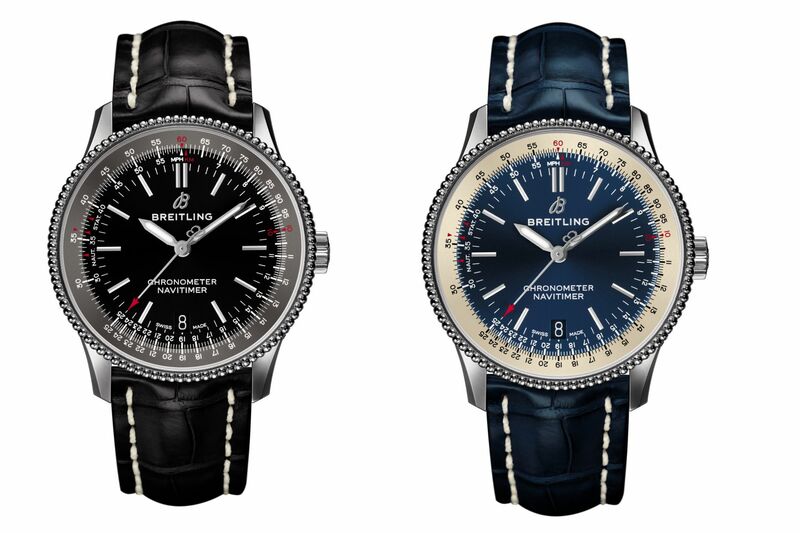 With a 38 millimeter case, it is perfectly sized both for men who prefer smaller watches and for the many women who, over the years, have asked Breitling to create a Navitimer with a smaller diameter. 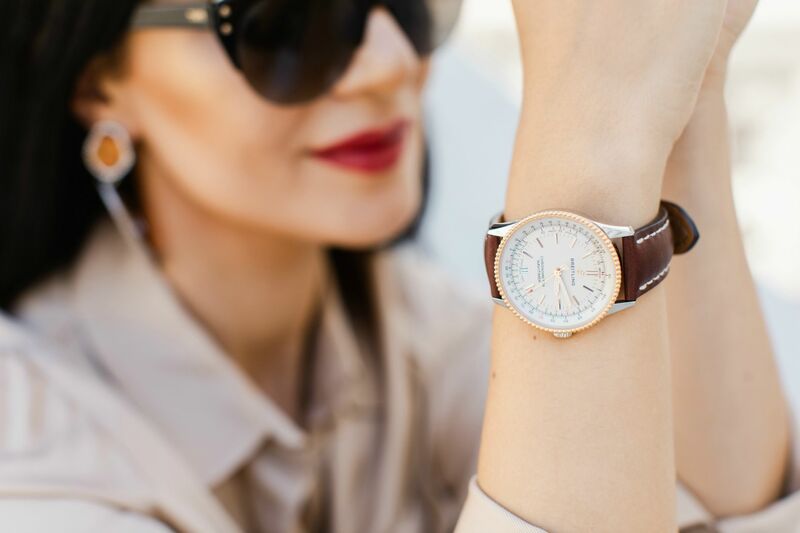 The Navitimer 1 Automatic 38 has a date window at 6 o’clock, with a matching date disc and a red-tipped second hand that offers maximum readability. 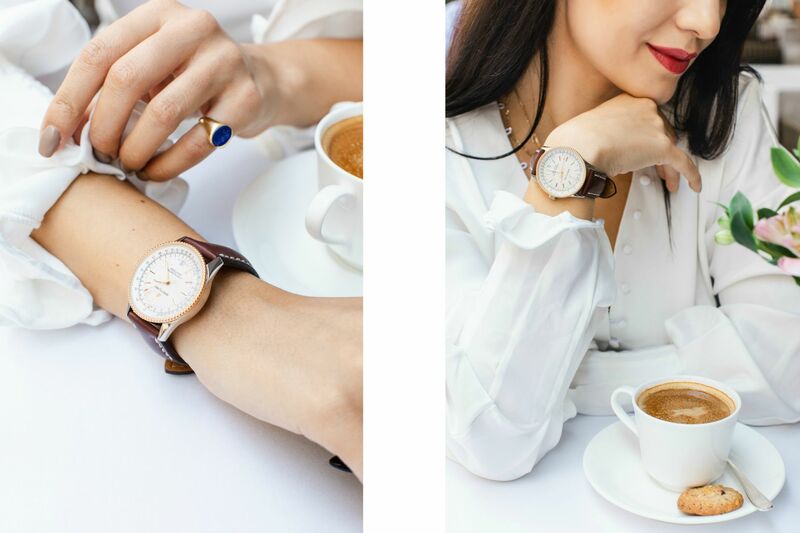 It features a stainless-steel case, a bidirectional stainless-steel bezel, and a screwed caseback, and comes with either a black or blue dial and matching alligator leather straps. 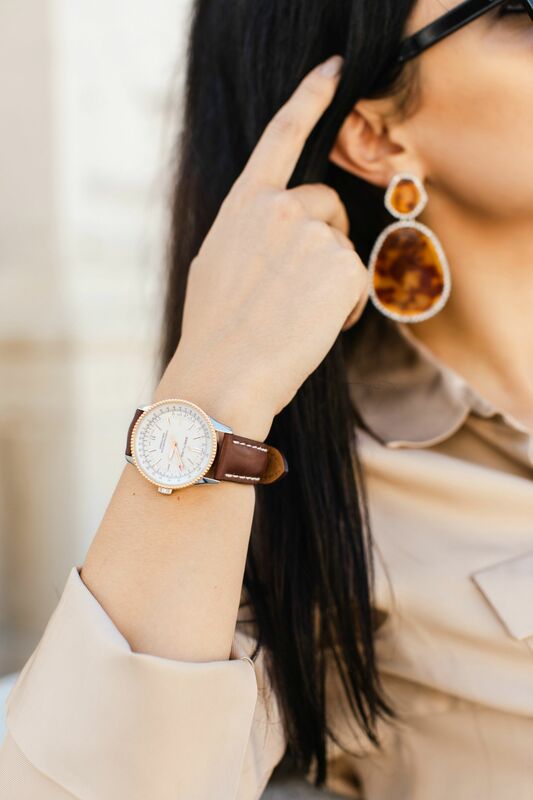 This model is also available with a silver dial in a stainless-steel version, with a luxurious 18 k red gold bezel and a brown alligator leather strap. A Breitling Caliber 17 powers the Navitimer 1 Automatic 38. With its dual-acting ball-bearing rotor, it offers at least 40 hours of power reserve and is COSC-certified. 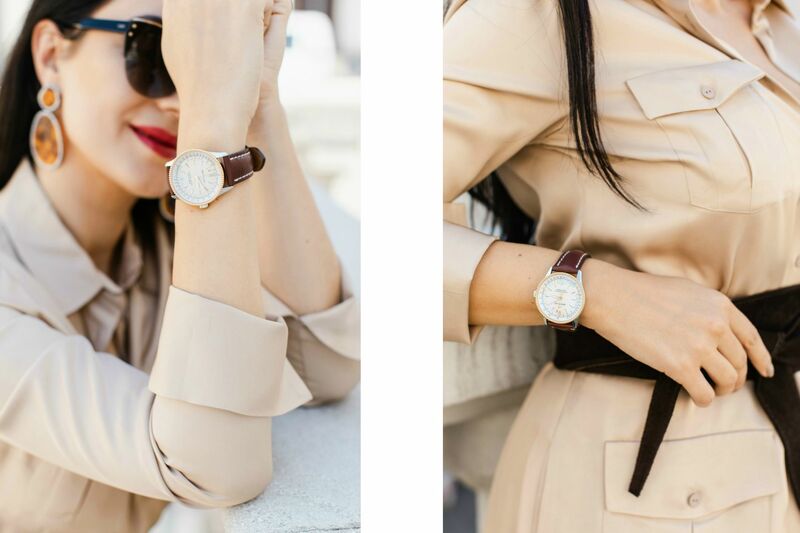 Its 38 millimeter case, and its aesthetic brilliance, is certain to make one of the world’s most admired watch families popular with a new audience. A look back in history, for more than 65 years, the Breitling Navitimer has been the world’s most highly regarded pilot’s watch. So the Navitimer 1 Automatic 38 is part of a legendary watch family, but it has its own personality, harking back to the 1950s when Breitling introduced the Reference 66, a three-hand Navitimer. 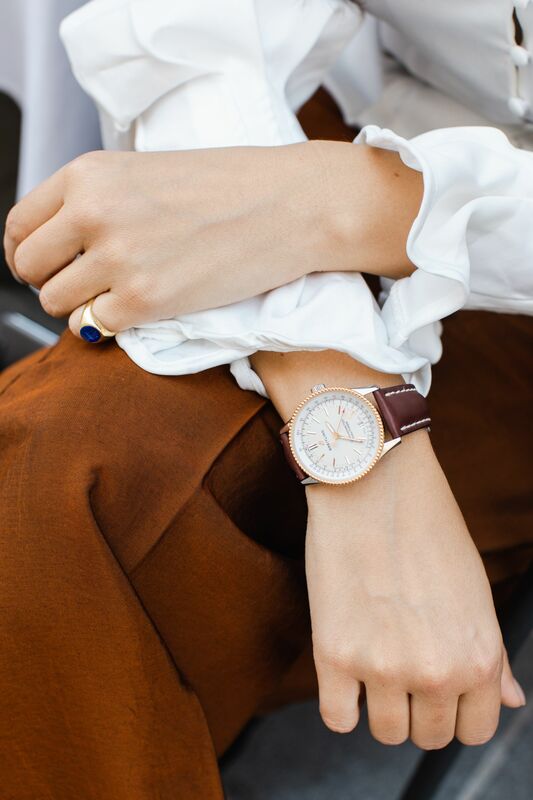 Investing today in a right timepiece, it will become tomorrow’s vintage classic. Being interested, passionate, or even just liking the brand or watch you’re looking to invest in is an important factor. One of my favorite accessories to incorporate into an outfit is the new Breitling Navitimer 1 Automatic 38. 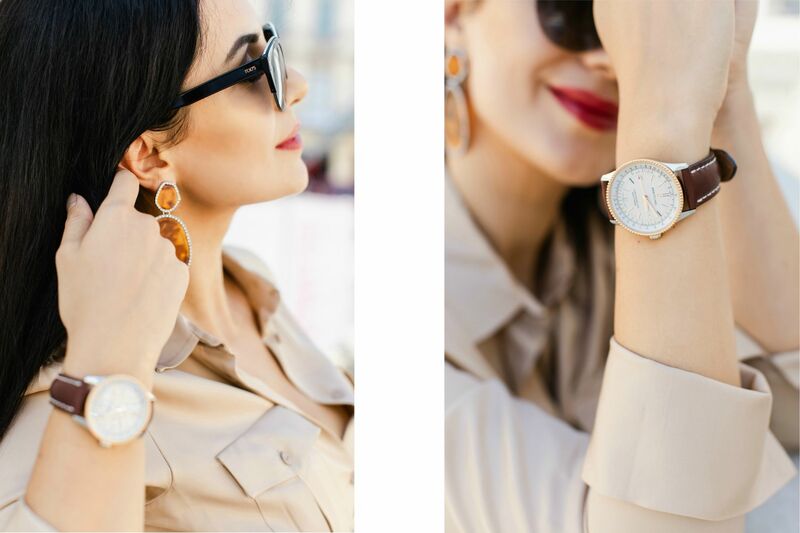 Best appreciated at face value, the traditional evening watch is now timely for daytime. On another note, it is the most fascinating for me to learn that Breitling created Navimeter 1 Automatic 38 millimeter case, because it is perfectly sized for me and it can be paired with elegant and casual wear.